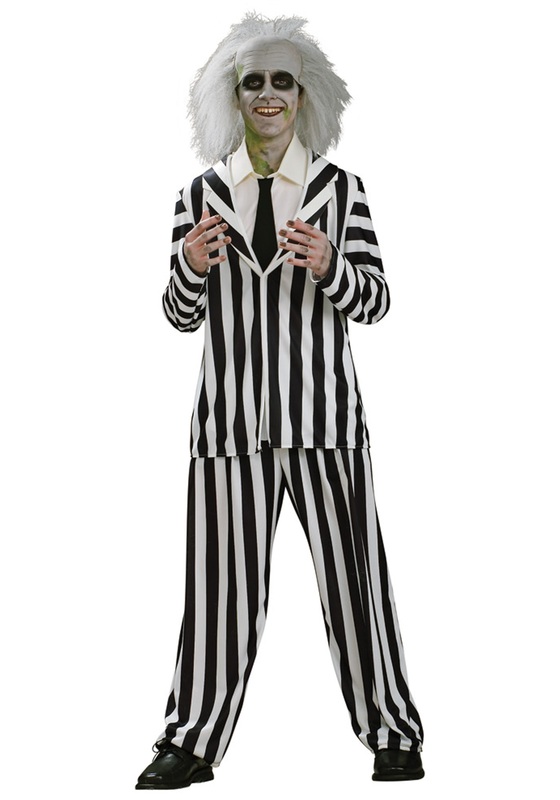 If you’re a teenager, then you weren’t around to enjoy the thrills of Beetlejuice when it first came out in 1988. Aside from that fact making us feel really, really old, it also means that you recently got to view the Tim Burton classic for the first time, and now, you’re totally hooked! So now that you’re a Beetlefan you don’t need the Handbook for the Recently Deceased to know that summoning him to a party always starts innocent enough; he just spins his head and makes a few wise cracks. But a visit from him (we mustn’t say his name too many times) always ends with people dying or someone’s daughter getting hitched to the creep. Really, there is only one way to make sure he cannot ruin your house party...take his place!